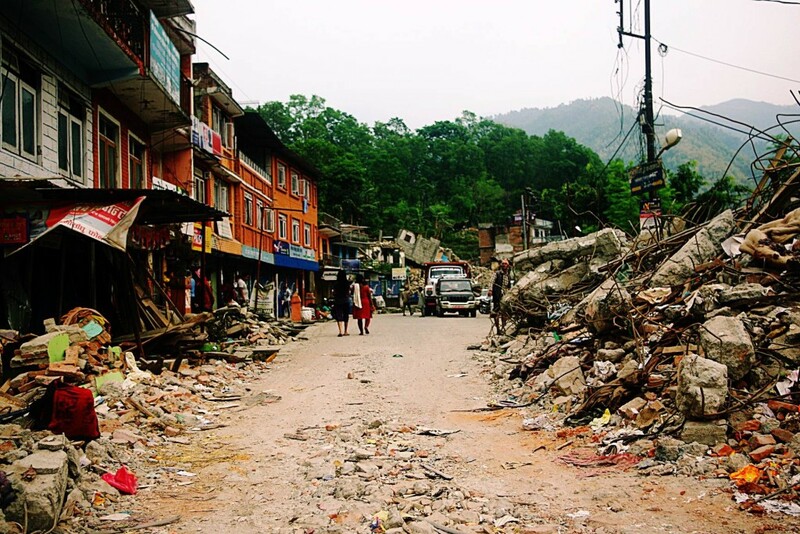 The Nepal Earthquake(s) disaster is now officially the most deadly event in the country’s history but ChildFund is reaching children and their families, bringing help to those most in need..
With the official death toll now exceeding 8,600 people, there can be no question that this is a disaster of historic proportions for the people of Nepal. The scale of the physical destruction has been revealed in new government figures, putting the number of homes destroyed at nearly 500,000. A further 267,000 homes have suffered damage. 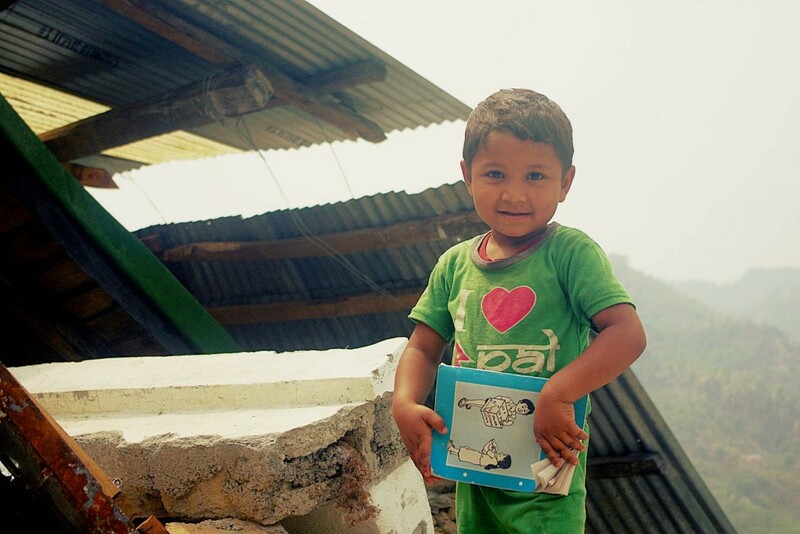 As a result, many children in Nepal are living with their families, out in the open – either through necessity, or out of fear their homes will collapse. With Monsoon weather about to arrive, basic protection from the elements is now a major priority. A humanitarian hub have been set-up at Chautara and people are starting to arrive on foot there, ahead of the imminent monsoon rains. In order for people to ultimately return to their homes, tarpaulin will need to be provided. Working together with other NGO’s on the ground, ChildFund has helped manage this urgent problem, distributing over 177,000 tarps (tarpaulin) and 8,293 tents. An evacuation centre has been established in Tudikhel which currents hosts some 86 families (over 350 people), including nine pregnant women. In Charikot over 50% of houses are uninhabitable. Further north in Singati and surrounding villages, an assessment team observed near total devastation of homes, with limited supplies of food and water. landslides are a constant issue and rains will exacerbate this problem considerably. 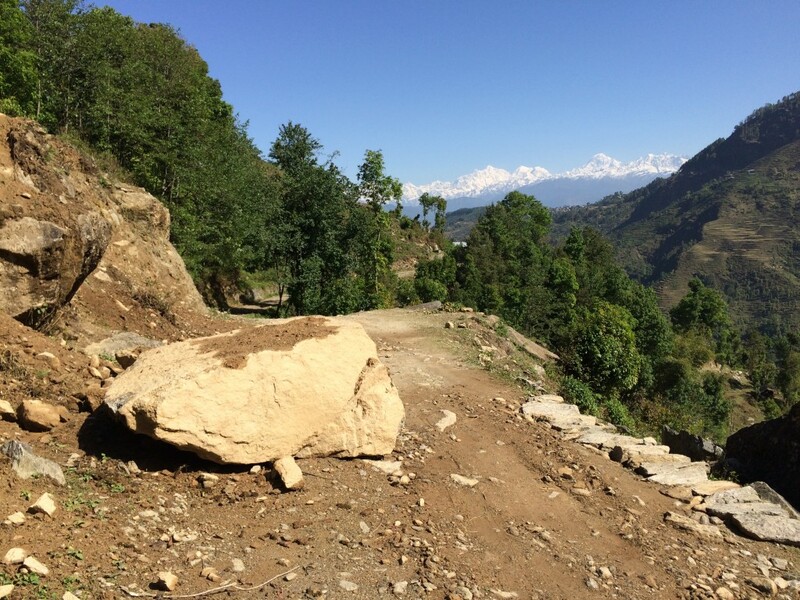 A landslide at Niikhantha village has blocked the road from Dharkha to Marpak. The removal of debris from roads in affected districts therefore, remains another big priority. Getting around the country to assist people in need is especially difficult and treacherous. As of yesterday (May 21st), ChildFund is initiating another major food distribution to some 759 families. The distribution will take 3 days . The food basket for each family will contain 30Kg rice, 4kg dal (lentils), I kg of salt and 2 litres of cooking oil; enough food to feed an average family for approximately 19 days. Tarps will also be distributed to those families who have been identified by our local partners on the ground, as being most in need. Since the earthquakes hit, ChildFund, with NGO partners, has helped establish 58 child-friendly shelters for displaced communities in nine districts, serving over 5,800 children. Structural assessments of school buildings in Lalitpur, Bhaktapur & Kathmandu, are ongoing. A scheme to provide vitamin supplements has been initiated in five districts, targeting women and children. Some 147,829 boxes of micro-nutrient powders have been distributed, along with complimentary foodstuffs to help supplement the diet of 126,000 young children. Cartons of ready-to-use therapeutic foods have been delivered to 12 affected areas, to provide care for over 3,000 children with severe, acute malnutrition. Travel time to the targeted areas, even in a good 4×4 vehicle, takes around 4/5 hours, and trucks take much longer. This distribution involves moving 10 truckloads of material, so travel is a big challenge. Roads snake along the main highway out of Kathmandu, hugging the perilous cliffs. These thoroughfares hang off the edges and virtually cling to the foothills of the Himalayas. These foothills are really better described as mountains. Kathmandu is almost completely surrounded by these “hills” There are very few straight roads and it can take 20 minutes of driving up ‘switchbacks’ just to move up one side, then another 20 minutes to climb back down another set of switchbacks. Roads turn 45 degrees almost back into themselves. The edge of most roads are drop-dead gorges or valleys. There is NO room for even ONE mistake. If a driver takes his eye off the road, he is off the cliff – or, he may hit another car at a blind corner. Accidents occur regularly. The margin for error is zero. THESE ARE THE GOOD ROADS. Then you drive off the paved roads onto dirt and boulder covered surfaces. Tires spin and dust can fill your lungs. A ChildFund staff member reported that on the first food distribution trip, a sharp piece of shale penetrated the tire of their car, providing an unwelcome flat tire. Now, imagine doing all this with 10 trucks, loaded with goods? Two weeks ago once such truck overturned, thankfully there was minimal damage and no one was hurt. These are representative of the types of difficulties our staff and partners on the ground are dealing with, as they seek to reach people in affected areas but they are rising to these challenges to ensure children and their families get the help the so badly need. ChildFund staff on the ground will continue their relentless efforts to help the children of Nepal and their families, by reaching out to them in their shattered communities, providing vital emergency aid, and showing them that they are not alone in their time of need. 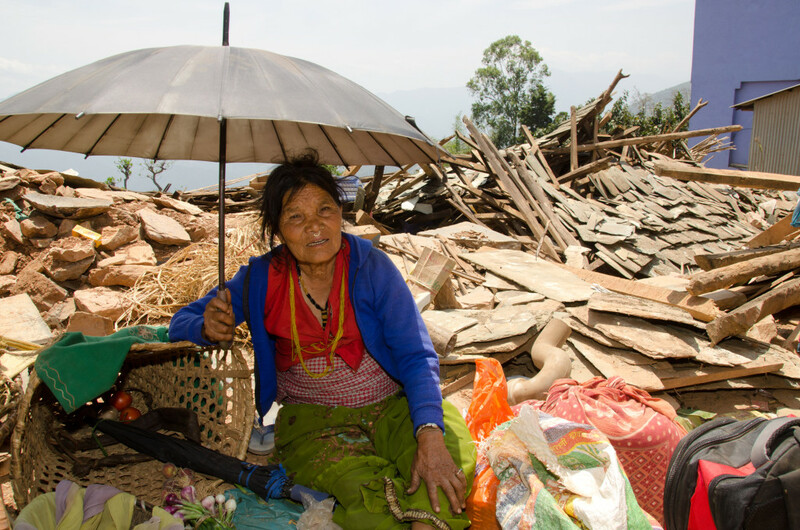 You can help us to help them, by contributing whatever you can to our NEPAL EARTHQUAKE EMERGENCY APPEAL .